Cambridge 1354. Christmas approaches and the town is gripped by the worst blizzards in living memory. As the physician, Matthew Bartholomew, struggles to help the poorer citizens cope with freezing temperatures, his colleagues prepare for the festivities. The weather has trapped many travellers in the town, including Matthew's erstwhile love, Philippa. She and her wealthy husband are invited to Michaelhouse for the main feast, and Matthew is horrified that he does not immediately recognise the over-weight, sulky woman who once stole his heart. In some ways he is relieved to accept Brother Michael's orders to identify a man found dead, apparently from exposure, in a nearby church, but the success of his mission brings him closer to Philippa's circle, for the man was her husband's servant. And then the husband himself is dead, victim of an accident on the treacherous ice of the fens - or was it a more sinister death, somehow linked to the death of one of his business rivals months earlier in London? 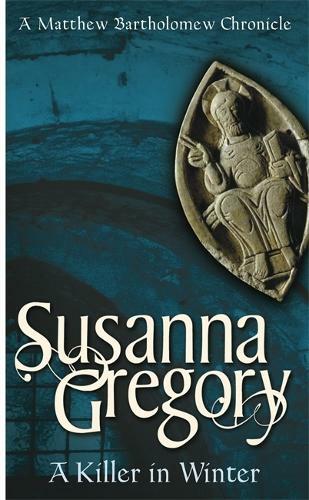 Susanna Gregory again brings medieval Cambridge to rich and vibrant life in a beautifully crafted mystery.